Who says excess is best? Let us help you clear the clutter. 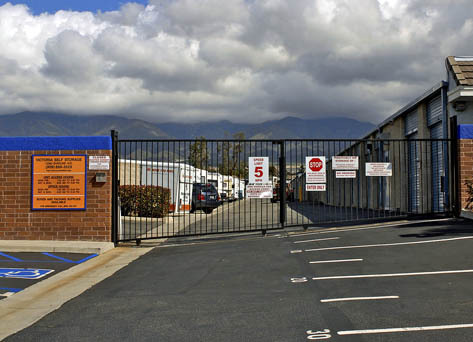 Are you in need of the services of an outstanding Self Storage and RV Center in Rancho Cucamonga, California? 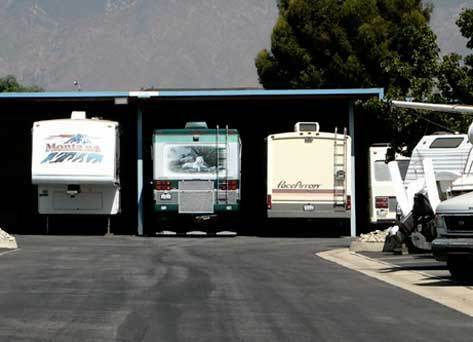 We invite you to visit Victoria Self Storage and RV Center, conveniently located on Baseline Road, today to see for yourself the ways in which we are set apart from other Self Storage and RV companies. Need to store an RV? We can help. 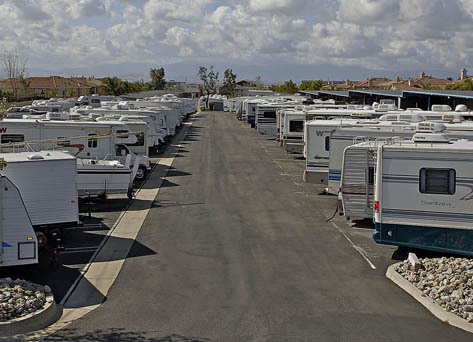 We offer a wide variety of RV storage spaces. 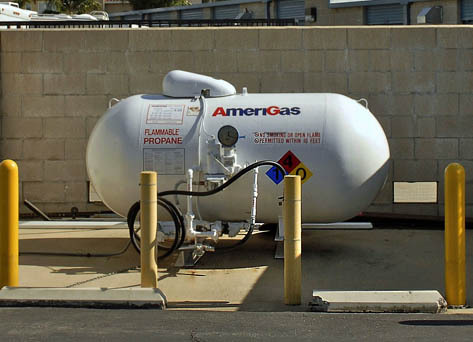 Our RV storage customers also benefit from the advantages of on-site propane, an easily accessed dump station, a variety of replacement hoses, holding tank treatments, and a convenient, clean wash station. We also offer a unique and very friendly atmosphere in which you’ll immediately feel at home. Our exceptional customer service is unbeatable, underpinned by teamwork with a high respect for every customer that walks through our doors. Expect a tour of our clean and secure Self Storage and RV Center. Upon your first visit, we’ll look at a minimum of two different storage units or RV stalls to help determine which one will best suit your storage needs. Each storage unit is highly secure, individually alarmed, equipped with a lock and impeccably maintained by way of our Zone Maintenance program, which is unmatched in the industry. Our corporate office performs monthly property inspections, ensuring that our property is exceptionally maintained and monitored. Victoria Self Storage offers convenient payment options, including monthly credit card debit, ACH (check draft), online payments, phone payments, and payment at our kiosk. Expect many other non-standard amenities at Victoria Self Storage and RV Center, including a free truck move for our storage unit customers. This enticing service saves you from the hassle of renting or borrowing a truck or making multiple trips with your own truck. Our truck move service comes with a driver, insurance, gas, blankets for packing around items, refrigerator dolly to easily move items, and no extra charge by the mile. We also offer a referral program, shredding, a full line of boxes and packing supplies, business services, records management, on-line reservations, and so much more. You’ll love it! 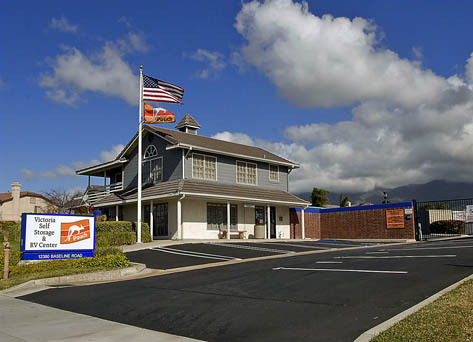 Victoria Self Storage and RV Center invites you to visit us at 12360 Baseline Road near the main streets of Baseline and Day Creek in Rancho Cucamonga, California. We are near the landmarks of Philippe Winery, Victoria Gardens and Victoria Gardens Shopping Center. 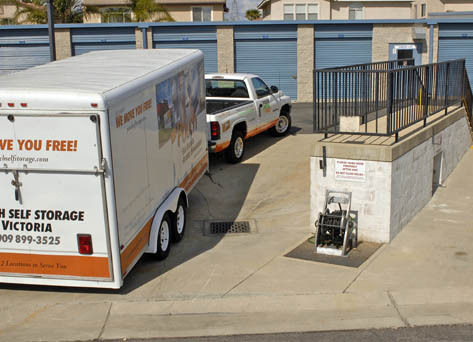 We proudly serve the neighborhoods of Alta Loma, Fontana, Ontario and Upland with all of their needs for self-storage units and RV spaces.